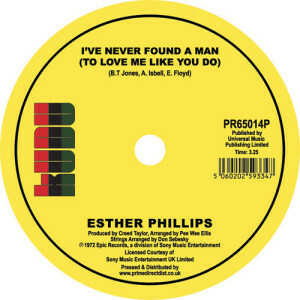 Remastered reissue of two of Esther Phillips' breathtaking covers from the early '70s. 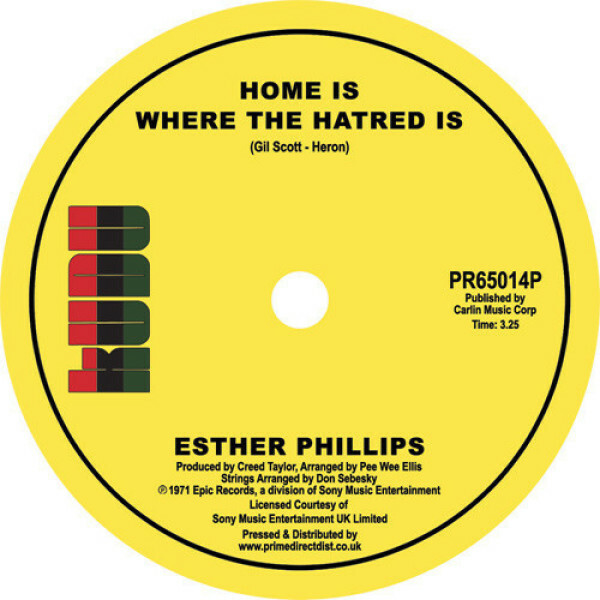 Firstly, Esther's cover of Gil Scott-Heron's timeless masterpiece 'Home Is Where The Hatred Is'. A haunting tale of addiction filled with the rawest of emotions, that can only truly be covered by someone who has fought that same battle with dependency. The pain in Esther's voice completely conveys this vulnerability and does Gill Scott Heron's original total justice. Heart-wrenching and completely absorbing in its honesty, it's a sincere portrayal of the demons both artist's faced in their lives. 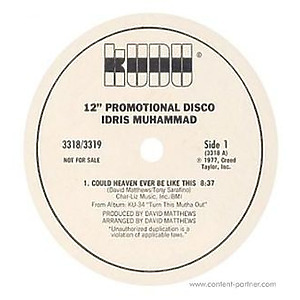 On the B side, an adaptation of Eddie Floyd's 'I've Never Found A Girl (To Love Me Like You Do)'. Phillips' trademark soulful tones suit this sweet serenade so well, with the passion oozing from every word she sings. Sit back, relax and prepare to have your heart melted all over again.